From March 15 – 18th UNDP and UN-Habitat, with financial support from the Government of Norway, was co-organised “The Youth 21 global initiative”. It gathered over two-hundred and twenty youth representing youth-led organizations and movements from across the globe, as well as UN Member States, members of parliament, private sector, civil society organizations, researchers and UN Agencies. The World YWCA movement was represented with three YWCA member associations attending the event, Ida Ituze, (World YWCA Vice President) from the YWCA of Rwanda, Jacque Koroi from YWCA of Fiji and Joy YAKUBU from YWCA of Nigeria. The presence of YWCA’s members in youth 21 was fruitful in different ways, apart from their powerful intervention they also serve as panelist and member of drafting committee. The aim of Youth 21 is for youth to engage with the United Nations and support them in working towards democratic governance and sustainable development. The impetus for this meeting was the statement made by the UN Secretary General Ban Ki-Moon, who on January 25th, 2012, announced that youth will be a focus for the next 5 years of the UN, and that he was going to appoint a Special Advisor on Youth. Youth 21 calls for the up-scaling of existing good practices at policy and programming level aimed at strengthening the capacities of young women and men to participate and exercise leadership in democratic governance and sustainable development at all levels in and beyond the UN system. Youth 21 identified a wide range of opportunities and reflected on the challenges arising out of the current global development context. It reiterated the need to see youth as a solution and not a problem. It noted the willingness of young women and men across the globe to play a more determinative role in democratic governance and sustainable development processes. It called for the removal of social, economic, and political barriers to youth participation, youth leadership and inclusion of youth within and outside the UN system. 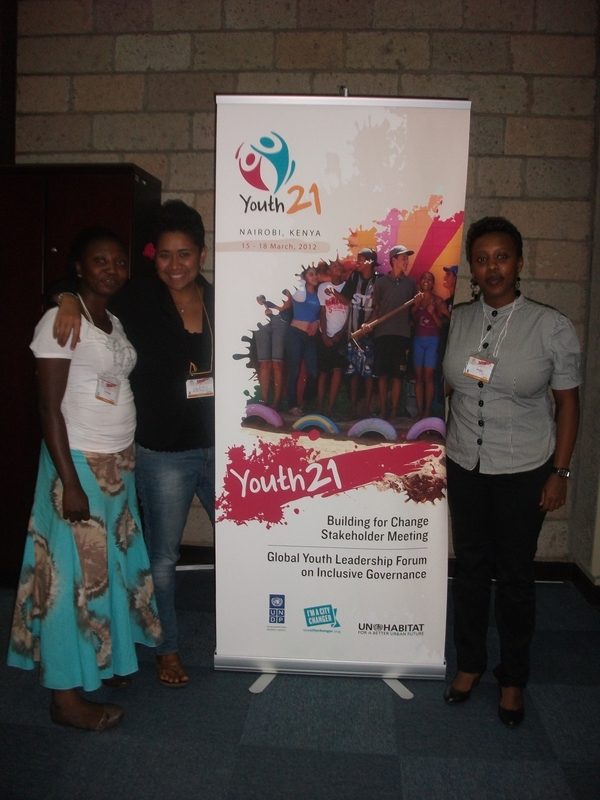 Youth 21 has prepared the Nairobi Declaration and its recommendations. The Nairobi declaration follows up on the UN Secretary General Ban Ki-Moon’s commitment to supporting youth empowerment globally through the appointment of a Special Advisor on Youth. The Statement commends the Secretary General on his commitment to youth and appointment of the Special Advisor. The Statement outlines a series of recommendations that seeks to assure that the Special Advisor has the mandate to fully engage youth globally, requesting that the Special Advisor be a young person who is able to mainstream youth in decision making across the system. The Nairobi Declaration requests that the Secretary General goes further in engaging youth through establishing a UN Permanent Forum on Youth. The recommendation includes a suggestion that the Forum be constituted by different stakeholders including representatives of youth organizations globally, and would be tasked to work with the Special Advisor on assuring that the voices of youth, especially those most marginalized and vulnerable, be heard. most of the youth especialy in kenya have good leading capacities nd the society trusts them but the problem comes on their economic status.if UN can come up wth away of sponsoring youth in their political campaign it wil b agud step ahead. It has been sometime since i have commented on an individual elses work, luckily this is positive though. Great post, i is going to be reading this blog much more within the future.